My clients are trying to pay with paypal, and Paypal responds with "Return to merchant and try a different payment method, we are not able to process your payment using your paypal account at this time". Please help me fix this asap! This is turning into a disaster. 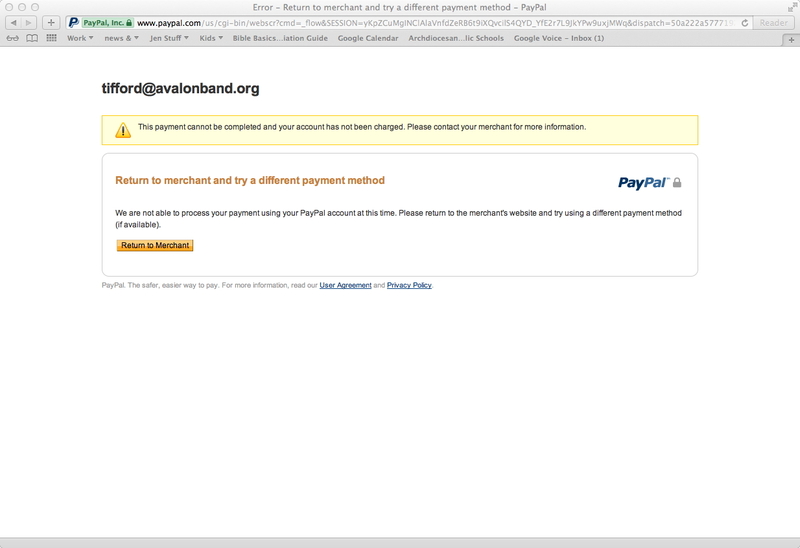 Kindly try removing the PayPal Payment Tool and try reintegrating it to your form. Also make sure the PayPal account used to process payments is in order on their end. As PayPal does state that this type of error occurs on individual accounts, in which case they advice to get in contact with them. Thank you, I will try to reintegrate. Also, we are also having the problem that sometimes people can't get past the first page of the form. It is an intermittent problem. If the issue that the form will not get past the first page continues. Kindly create a new thread so that we can troubleshoot that issue sperately. Thank you.